This smoothie is packed full of energy boosting ingredients and makes a great breakfast. It only has one piece of fruit in so won’t cause your blood sugar to spike. It’s super versatile so you can swap or remove any ingredients you’re not keen on. If you’ve ever had a hangover then you are probably familiar with that feeling of needing to fill your body with anything sugary and carbohydrate related to help make you feel human again. This smoothie is packed full of natural sugars and antioxidants and it helps you to dehydrate and get your day back on track. 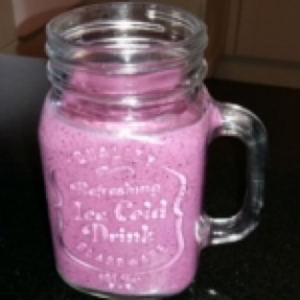 It has a higher sugar content than smoothies that I would normally make but it is much better for you than the sugary fizzy drinks and crisps that so many of us often grab. Yes you did hear correctly ‘healthy’ and ‘hot chocolate’ and ‘vegan’ in the same sentence! At this time of year there is nothing more comforting than a warm hot chocolate, however some coffee shop brands having a whopping 24g of sugar in a medium cup! So I decided to play around and create a healthier version that you can enjoy at home. This vegan healthy hot chocolate is great to help you wind down in the evening but I would suggest having it early in the evening as sugar close to bedtime can prevent you from getting a good night’s sleep. I have not specified how much maple syrup to add to this hot chocolate as ideally you want to make it to your taste. However, be aware that maple syrup is still recognised by your body as a form of sugar, and so your body will respond to it as sugar so use as little as possible. For a more chocolaty taste you can add more cacao but it is bitter so the more you add the more maple syrup you are likely to need. A great variation to this recipe is to add a drop or two of peppermint oil to give you a delicious mint hot chocolate!